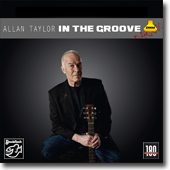 Allan Taylor: "I have chosen these particular tracks mainly because I know that those of you who play the vinyl records usually play them on superb sound systems, and therefore appreciate the quality." 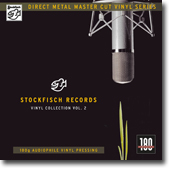 "How this sound is achieved I don’t know; I’m just the guy who writes the songs and performs them, but the Stockfisch team are the experts in recording. I’m grateful to the team for continuing to work to such high standards to make my music sound so good." Regardless of whether you have an award-winning harpist, a flute player comfortable in all styles, a busy multi-instrumentalist or a singer-songwriter who travels the world, these different backgrounds and horizons, experiences and peculiarities flow seamlessly into the Ranagri melting pot. The resulting music-mixture is a unique, sometimes singable, sometimes mystical musical fairytale world between intricate folk music, noble and elegant pop, artful and beautiful sounds, sympathetic pub-rock and flowing, eloquent singer-songwriter art. "Playing For Luck" - now also available as audiophile 180g-Vinyl-LP cutted with Stockfisch´s inhouse Direct-Metal-Mastering cutting lathe. "Let's be honest. Live albums are often bland; the songs pale versions of lavish studio originals. This one is different. The texan songwriter and her sideman turned into groove masters during this concert in June 2002." In 2018 Stockfisch is finally releasing the album "Sara K. & Chris Jones - Live in Concert" on double-vinyl for the first time for all fans of analog domain. Love, loss, self-pity, recognising chances and taking them - or not, almost mystical nature experiences, life-changing encounters, art and artists, environmental protection, human rights: it is truly a broad, moving and very current spectrum of themes which Irish singer-songwriter Brian Flanagan has worked through in the eleven tracks of his first Stockfisch-album. This beautiful recording with Brian Flanagan is also available as audiophile 180g-Vinyl-LP Edition. Carrie Newcomer is a songwriter, recording artist, performer and educator. A friendly, un-dogmatic but at the same time deep spirituality is at the core of her artistry. All of this alone would be impressive, but it is Carrie’s deep and warm voice which ultimately dissolves any resistance and pulls you in, never to let you go. There is a reason why she is often compared to iconic singers such as Karen Carpenter or Mary Chapin Carpenter: “a voice as rich as Godiva chocolate”. Now available as 180g Double-12“/45rpm. Christian Kjellvander is a Swedish singer-songwriter with a winning blend of American/European folk, country and rock - creating his own world of twangy, folky reflection and mood-filled melody. When Christian Kjellvander toured Europe last year, he visited Stockfisch-Records. Spontaneously Günter Pauler recorded "Solo Live" - a solo performance in the Bürgersaal, Northeim, on May 16, 2015. In 1982, a 24-year-old guitarist named Chris Jones came to our studio in Northeim to record 10 songs for his first album. On a 2" tape recorder and mixer: Günter Pauler. Who would have thought that in 2017 it would be possible to publish these wonderful 10 titles again as a long-playing record? The current vinyl renaissance makes it possible. For all of those, who like the analog sound, in 2016 Stockfisch released „Roadhouses & Automobiles“ on Vinyl: as 180g Double-12“, 45rpm. For the third edition of our Stockfisch Vinyl Vinyl Collection this time we selected titles from our current program, which fit soundwise particularly well on vinyl record: deep-sounding, smooth and transparent timbre characterize the 10 pieces on Vol.3. Among them are "good old friends" such as ALLAN TAYLOR or STEVE STRAUSS - but also Günter Pauler's new discoveries for Stockfisch like CARRIE NEWCOMER from Indiana, Kerstin Blodig from Norway or the Anglo-Irish band RANAGRI. This is really Tony Christie’s masterful musical homage to his heritage and his ancestors. For his fans and all other interested parties this Vinyl-LP is a very gratifying and uplifting journey to the mysteries of the Irish-Celtic music culture – modern and in excellent sound quality. On previous albums Allan Taylor sang songs about the road, about all the different countries and all the hotel rooms … The new album goes deeper – into time and ultimately to the recognition: “All is one”. Taylor plays his favourite Martin guitars with the same sensitivity for body, expression and autonomy which one finds in his vocal performance – always moving, and never merely vague. When we planned the Vinyl-Edition of "Will You Come Home" we could not make up or mind, which CD titles should be quitted because of the LP´s limited running time. Therefore we decided in favour of a Double-LP. And now the side-length became really perfect for a four-sided 45 rpm cut. There’s something which connects all the songs on this LP: all are by Canadian composers. This is much more than a mere collection of hits - thanks to the poetic, strong and never sentimental interpretations of Paul O’Brien. All 14 songs are by Canadian writers – from Bruce Cockburn, Gordon Lightfoot and Paul O’Brien right up to Neil Young, whose song “Long May You Run” inspired the title of the new album. Selected songs of this project are now also available as audiophile 180g-Vinyl-LP cutted with Stockfisch´s inhouse Direct-Metal-Mastering cutting lathe. "Familiar" is the name of Brooke Miller's first album with Stockfisch. The rich timbre of her voice and the quality of the guitar sound while entirely unique, resonates with influences ranging from Bruce Coburn to Joni Mitchell. The rhythmic, catching melodies with fresh elements of folk and a dash of country evoke the oceanic grandeur of her Canadian homeland. Without much ado and preliminaries, the three musicians meet at the Stockfisch studio in Northeim and give their creativity and expertise free reign. Et voilà: what has something of the character of a reunion of old friends turns out to a must-hear, not only for those who know and appreciate the solo productions of Ruffolo and Kolen. Also listeners who experience these artists for the first time as THE GREATER GOOD will enjoy these ten mellow, yet catchy tracks with their captivating vocal harmonies and intricate, rhythmic guitar work - such musical master craftsmanship is what it takes "If It's Feeling Fine". Katja Maria Werker has made her début on Stockfisch with her new album, "mitten im sturm" ("In the Midst of the Storm"). This LP is a richly facetted album – squally periods followed by intermittent calm, the rise and swell of the waves: Katja Werker's own compositions; fresh, energy-laden pop songs ("Crossfire"), some English and German folk; notably a Peter Gabriel classic from the Seventies ("Here comes the Flood") not to mention an awe-inspiring rendition of the German hit "Über sieben Brücken must Du gehn". Each of the album's tracks is unique, and all are highly authentic; personal in the literal sense of the word. With his new album Red Rock Journeys, a musician who can undoubtedly be classed as one of the greats of acoustic guitar music can now be heard on Stockfisch: Ralf Illenberger. Ralf IIlenberger‘s home and place of work is Sedona, Arizona, a location of great natural beauty to which spiritual power is also attributed. And Red Rock Journeys epitomizes a true Illenberger: holding that fine balance between deep, earthy sound and soaring, airy heights – between rock-solid craftsmanship and the capacity for transcendence. On one hand we want to offer samples of current Stockfisch albums, on the other hand we would like to give a sneak peek on our future CDs. The vinyl-LP normally has two sides – and Sara K. presents two sides of her musical artistry! On the one side we have her impressive and very convincing (solo) live concerts, where she fascinates her audience solely with her unique voice and her almost fragile-sounding accompaniment on the 4-string guitar. On the other side there are her beautiful studio recordings, where a whole range of musicians complement her pieces with an endless palette of musical styles, instruments and ideas. We want to document these two sides of her work on the 2nd release from the new Stockfisch “in the groove” series. Stockfisch releases another album from their LIVE AT STOCKFISCH STUDIO series - this time an Irish band had visited Northeim: "Beoga". Beoga (Irish word for ‘lively’) have become one of the most popular and influential ensembles in modern Irish music. “Riveting... the best traditional band to emerge from Ireland this century,” Wall Street Journal. • Sorry, out of print! "I thought the vinyl format was finished. However, since I have been recording with Stockfisch Records and working with Günter Pauler I have become used to the supremely high criteria the work to, so when they suggested that we choose a few songs of mine from our catalogue for a release on vinyl I thought it was a great idea." Dennis Kolen is a young singer/songwriter from Rotterdam/The Netherlands. He grew up with the music of his fathers Vinyl collection: Jackson Browne, James Taylor or Paul Simon had been Dennis´ musical vision and orientation. Above all his influences came from the protagonists of the West Coast Music in the seventies: The Eagles, Poco, Crosby,Stills & Nash… - listen to the great harmony vocals on this LP! who 2007 moved for a year to Paris in order to study at the Conservatoire national supérieur de musique et de danse, wrote pieces for this album as a tribute to this city. Together with Sebastian Klose (b), and Axel Pape (perc), the trio introduces a special guest from Paris: Anne-Marie Jean. With her versatile voice, she, as a Frenchwoman, lends a special authenticity to this city portrait. Stockfisch Records not only had brought the Canadian singer/songwriter Paul O'Brien to Munich, but also an exclusive new Vinyl: 12 inch • 45 upm • 180g pressing, including four songs with Paul O´Brien accompanied by the Uli Kringler Trio! Recorded live at Stockfisch Studio, Northeim, Germany, September 29, 2009 - during the concert tour of Paul O´Brien & Uli Kringler Trio – no edits, no overdubs! Sorry, the 180g-Vinyl version is out of print. The Paperboys are a folk music band from Vancouver. They have been playing together since 1991 and some of their recordings were honored with folk music awards. When they play, you can hear the sound of tin whistle, violin and bodhrán, this is Celtic folk music, bluegrass, Mexican music and country music, at times with a hint of music from eastern Europe and Africa. The Paperboys perform live in the studio - and it is plain to hear they are having a lot of fun doing this. Sorry, this CD is out of print. The Bassface Swing Trio again, this time featuring singer Barbara Bürkle, performing a fine selection of Cole Porter jazz tunes. The musicians played two sets of four pieces - "live", there were no edits or digital tricks involved. The Stockfisch sound engineers mixed the sound of seven microphones in an analog mixer to a stereo sum. The mix was then passed through the highest grade DSD 1-bit converter. This performance is released in three different formats: for collectors of audiophile specials as DSD 2.8224 MHz-TO-DISC Vinyl 180g LP + SACD Hybrid-bundle - limited to 500 pcs., numbered and signed by Günter Pauler. 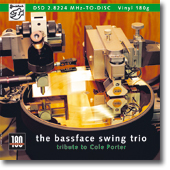 … for all aficionados of vinyl as DSD 2.8224 MHz-TO-DISC Vinyl 180g LP. 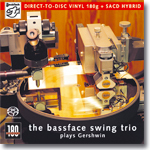 Direct-to-Disc: that implies musicians playing the duration of one vinyl side without mistakes during the lathe is cutting the DMM copper at the same time. Live - no subsequent corrections, no edits!. This vinyl record is released as limited edition (2000 LPs), signed and numbered by hand. It comes with a SACD incl. a CD-hybrid-layer. This is the exciting opportunity to compare three formats originating from the same analog source and transferred unaltered into two digital formats. 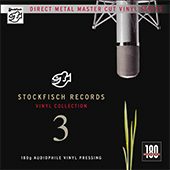 The first Vinyl-LP sampler by Stockfisch is released: the Stockfisch Records Vinyl Collection. 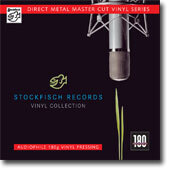 We selected 10 tracks from the Stockfisch repertoire of the last four years and cut them on an audiophile 180g-Vinyl. Featuring Sara K., Steve Strauss, Chris Jones, David Roth, Eugene Ruffolo, Paul Stephenson, Louis Capart, Mike Silver, Christian Willisohn and Ewen Carruthers. His clear and soulful voice conveys so much emotion that it can be frightening, at first – such is the intensity that he projects. 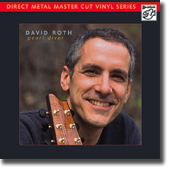 This wonderful emotional David Roth-Album Pearl Diver is also available as audiophile VINYL-pressing (LP). In addition to the regular CD, Collector’s Set, LIVE-CD and -DVD, Stockfisch is pleased to announce the release of "Water Falls” as a Double-Vinyl LP of uncompromising quality (180g vinyl, detailed booklet). An experience in a class of it’s own for all friends of the analogue LP.